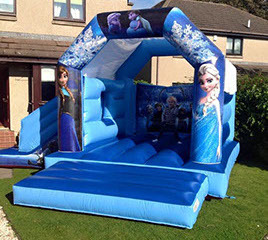 Very Popular Frozen Castle! 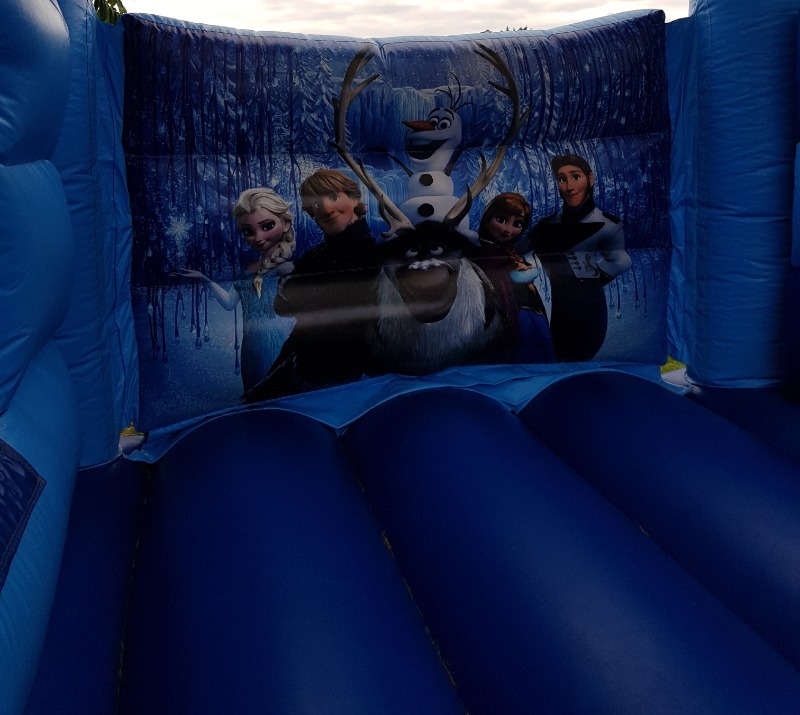 Featuring Elsa, Olaf, Ana and other favourite characters! For children up to 12 years old. 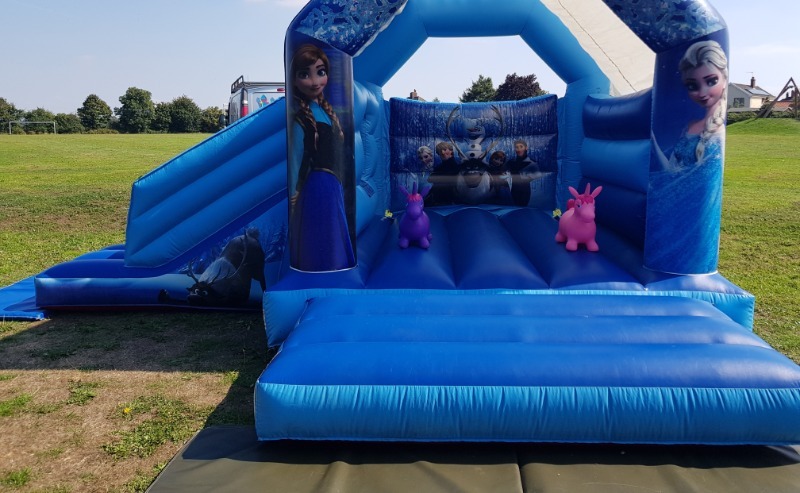 Suitable for indoor and outdoor hire. Has a slide on the left side and built in rain/sun cover.